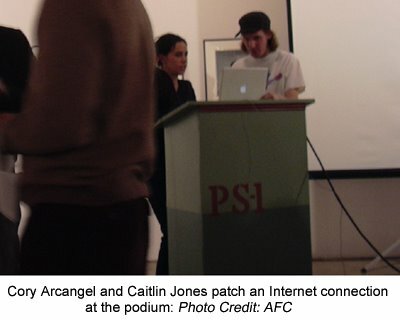 Like me, the artist/blogger who writes Art Fag City is a huge fan of Cory Arcangel. His Her write-up of The Believer's art event at PS1 is informative and hilarious. Go read it. I will post a link to the web version of the newsletter tomorrow for those that aren't subscribers. The newsletter is now online. We saw these two shows on Saturday, and I highly recommend you stop by before they both end on Sunday. 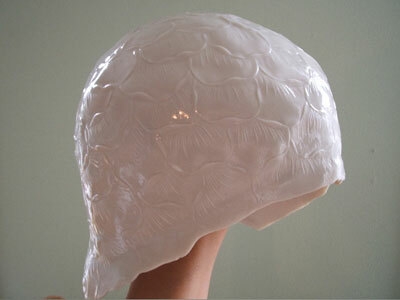 The piece by Kristen in the photo is a porcelain shower cap. If you do go, look for the drawings of James and me on the right side of his drawing titled Everyone I've Ever Met From Memory (That I Can Remember). 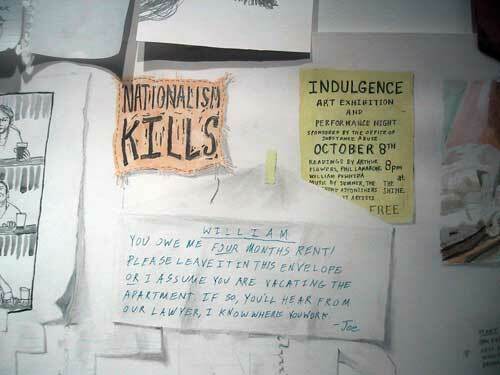 I heard from the gallery, and from Platform Gallery in Seattle, that William's drawings were quite the hit in Miami. We did not make it to the "main" fair (Art Basel Miami Beach), or Scope (unfortunately), or the containers, but we did hit the Rubell and Margulies collections, plus NADA, Aqua, and a tiny bit of Frisbee. Remember how I recommended Elena Kovylina's Waltz before we left? I did dance with her one round, but passed on drinking vodka with her. It was an intense and heart-breaking performance, and it felt odd to see such a work in the bright Miami sun. Her performance was presented by Schroeder Romero. They presented work by an artist new to the gallery (and new to me) named Ken Weaver. 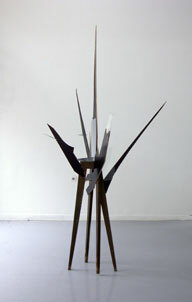 An exhibition of his work will be their inaugural show in Chelsea in January. 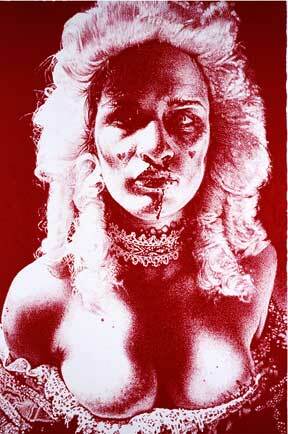 They really stood out as one walked by the booth at NADA - dazzling red and white images. Several galleries impressed with their overall programs. One was Galería Comercial, which is located in San Juan, Puerto Rico. It exists somewhere between the non-profit and commercial gallery worlds -- but on purpose unlike some galleries! At NADA, they showed posters and other works by Pedro Vélez, plus a number of other artists working in media ranging from painting to video. For those so inclined, ArtCal now has RSS feeds. You can also add an openings subscription to your iCal or other calendar programs. 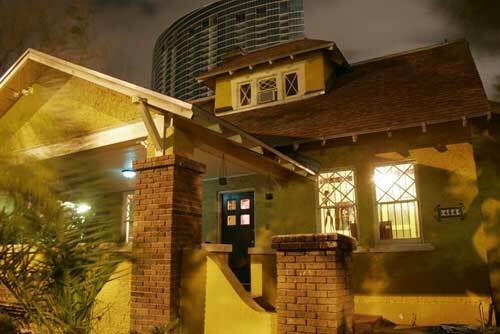 One of our great discoveries in Miami, thanks to our host Michael, was the Gallery House project. 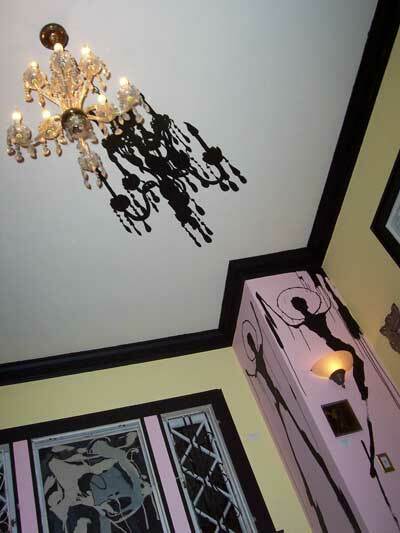 It's an early 20th century house filled to the brim with art. 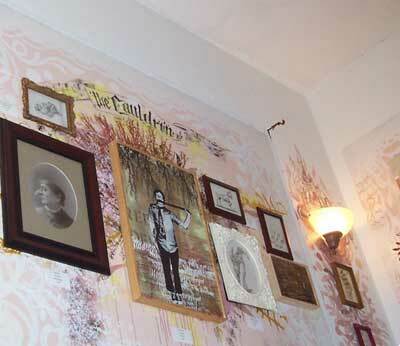 There are things hanging on the walls, in the closets, and there are wall paintings and installations too. The vibe was more like visiting a show in someone's loft in the East Village a decade or more ago than being in Miami for the whole art fair thing. A lot of the work we saw was by Don Shearer, including everything you see in this image below. I like the Felix Droese-esque angles in the corner. 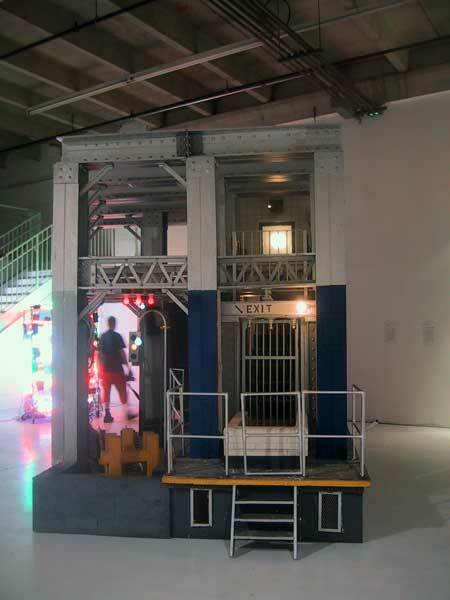 I wish New York had private collections such as the Margulies and Rubell Collections that are open to the public. I enjoyed aspects of the Rubell, particularly the exhibition of contemporary Polish work, and the paintings of Norbert Schwontkowski, but it doesn't feel like the "personal" collection that the Margulies does. It has smart choices, but there was very little that surprised me, and very little (other than the two things I just mentioned) that wasn't already familiar. It also felt rather odd to see gift shops inside (including t-shirt sales). I found the Margulies Collection very moving. I loved the focus on work with a social or political aspect, and the very intelligent curating of the works on display, with juxtapositions such as Peter Friedl's King Kong video placed near work documenting the ruins of Detroit, the G8 riots in Genoa, and ruins of Kabul. Go read Sir Pinter's speech while I'm working on my Miami posts. 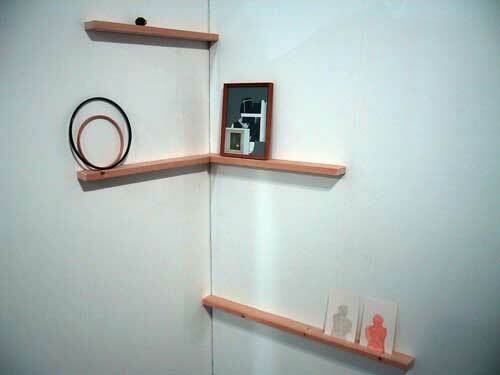 This page is an archive of entries in the Culture category from December 2005.